A parcel was waiting for me quietly and patiently while I was working at my company; my sister was the one who seems more excited than me and waited me back to open the parcel. Laugh. Okay, I also felt the excitement after that because it's from oversea. 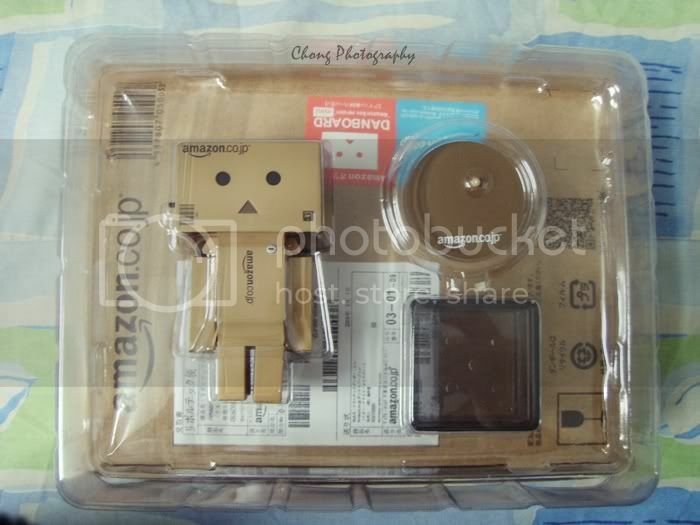 I was so shock when I saw the little Danbo robot lying in the box, total is two; it's so cute and stupid at the same time. Smile. 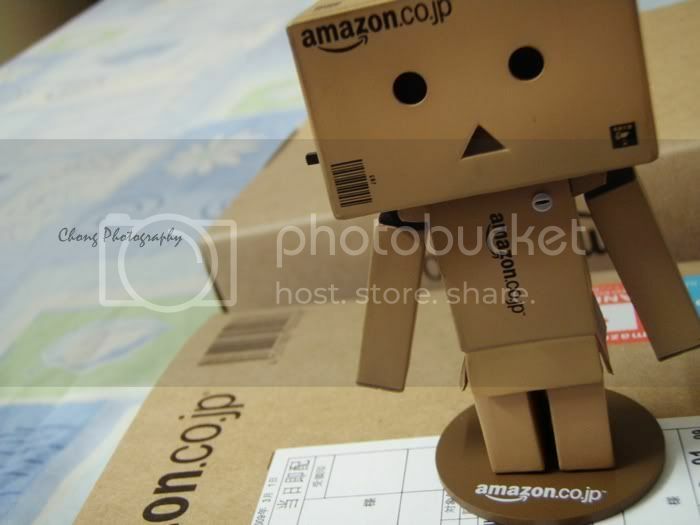 My daddy likes the little thingy as well, once I took them out from the boxes, he is the one who touch and play with them. There is a switch to light up their eyes, a platform for them to stand and I still couldn't think of the function of the black box, yet. 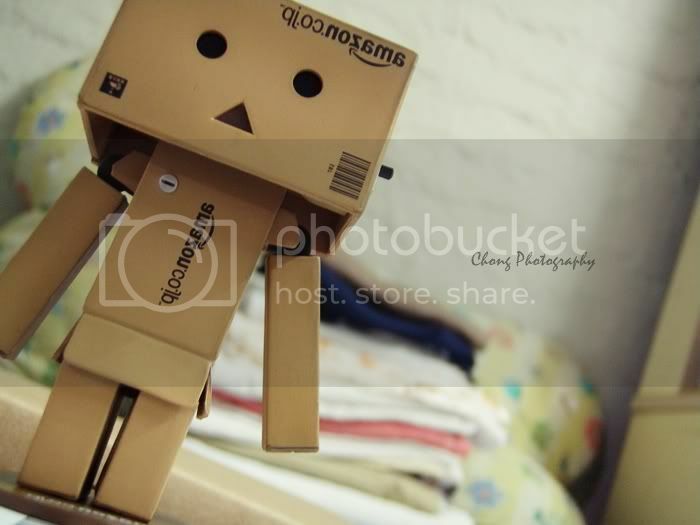 Thanks for the gift, and the wishes for whole year. Yaya, I love them so much!